Barnie White from Brewton, AL grew up fishing for bass on the Alabama River. That all changed in 2004 when he started fishing professional redfish tournaments. 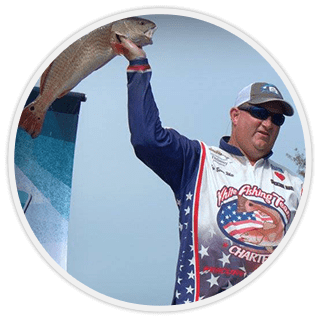 With several wins in all the major redfish tournaments organizations he brings his experience and tactics to teach anglers how to catch redfish in any conditions. Barnie is a 4H certified Sport Fishing Instructor and teaches kids all across Alabama how to fish.